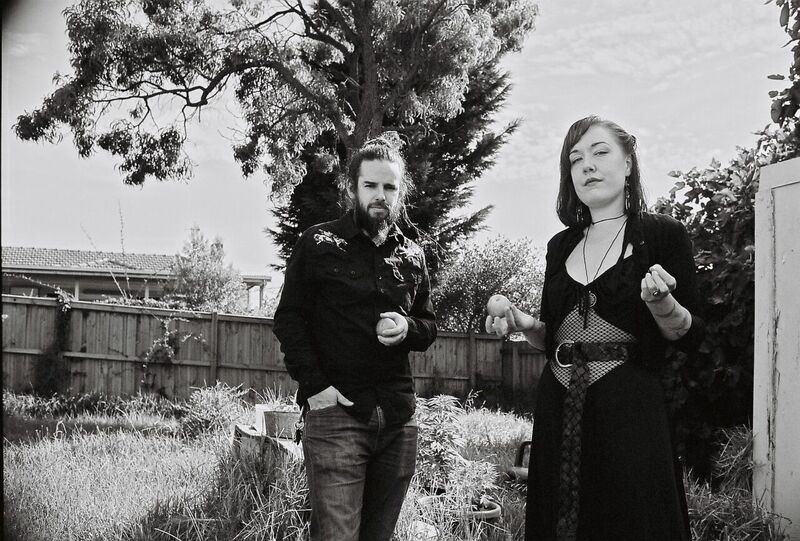 Since their inception in early 2017, Jess Parker & The Troubled Waters have been cooking up a unique brew of Tarantino-esque desert blues and dark Australiana, captivating and possessing audiences along the way. Their debut EP ‘Goin’ Swimming’ released in March 2018, received wide support on community radio incl. a live in-studio performance on 3CR. Highlights in their short time include sold out shows supporting Cash Savage & The Last Drinks and Cable Ties, and King Wolf, and playing 3 packed shows at the Bendigo Blues & Roots Festival all while writing and honing their sound in countless dimly lit bars across Australia. Their live show is a spectacle that’s impossible to forget. Jess’s howling fuzzed out guitar and mesmerising, powerful vocal delivery pairs seamlessly with Sean Figgers’ animalistic drums and Mitch ‘Pablo Bass-guitar’ Dillon on bass, delivering a truly hypnotic musical assault. The Bruthen Blues & Arts Festival is an event of the Bruthen Arts and Events Council Inc. All proceeds go towards keeping music and arts alive in Bruthen.